Learning CW is more about learning to copy what you hear than sending. So listen, listen, listen. Of course the best CW copy practice comes while listening to stations using your own HF radio and having on-air QSOs. So make the most of your opportunities to listen to live QSOs from your home station. Find conversations that are at different speeds for your practice copy. In my experience, when I only practice copying higher speed CW for a time, my ability to recognize slower CW gets rusty so practice copying all speeds. I was worked by a station some months back when I was sending at only 13wpm who came back on the second exchange and replied that I was too slow to copy and he quit the QSO. I don't want to be like that. Along with copying QRS stations, practice copying stations that are well above your comfortable copy speed in order to stretch yourself. You will likely miss much of the conversation but your ability to start recognizing common words and abbreviations will increase. Another side effect I find is that when I listen to a 25wpm (well above my present copy speed) exchange between two operators who have equally strong signals, I'll usually copy one station better than the other. I try to figure out why that's the case. Something about that operator's style is easier to copy and when I discern why that is, I try to emulate it. I want to be able to copy all speeds of CW; both to encourage new QRS operators and ragchew with the QRQ old-timers. 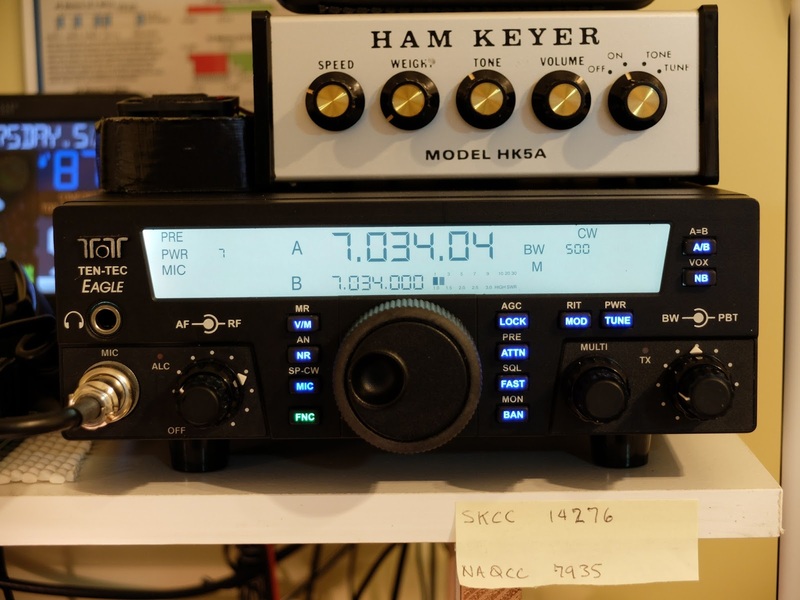 When you don't have hands-on access to an HF radio or when propagation is poor at your QTH web SDR stations are great resources for CW copy practice. 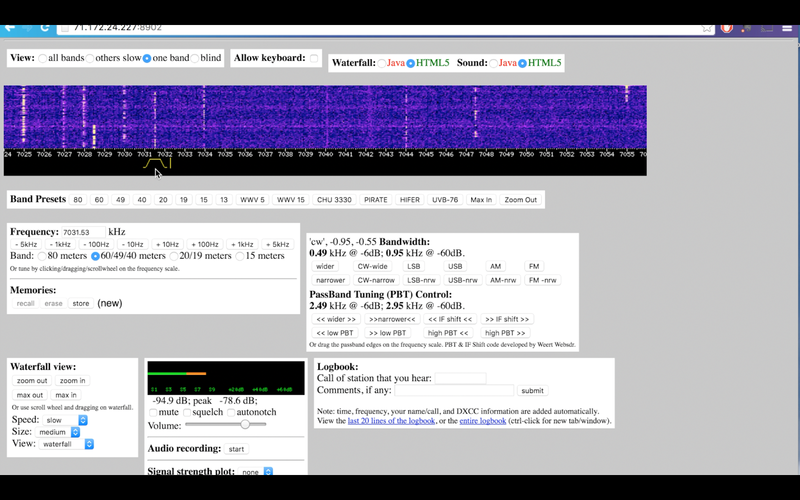 Web SDR stations are accessible from http://websdr.org and allow you to listen to CW anytime you have access to the internet. Web SDR stations are available from around the world, potentially from countries you haven't been able to regularly hear from your QTH. So it allows you to hear different sending styles from around the world. When live CW is unavailable you still have machine generated CW as an option. Practice copy of machine generated CW is a pale comparison to actual CW QSOs but it has it's uses and it's always available. 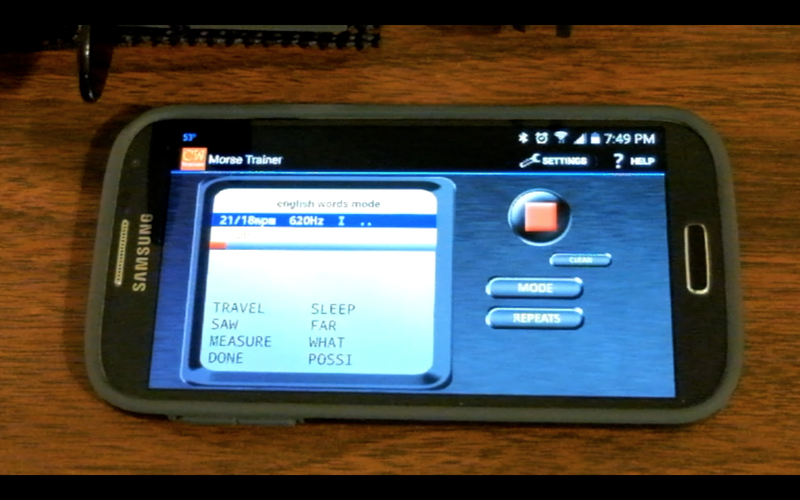 The Morse Trainer App for Android devices offers most features standard in other learning applications plus a built-in list of randomized top English words and an e-book reader. This following video demonstrates the copy methods above. So listen more than you send and your CW copy, as well as your interpersonal skills, will improve with practice at listening. Good morning Richard, very well put and I for one have used Web SDR listening but only to hear some rare DXpedition. There has been times when I wanted to just listen to code sat down and spun the VFO and nothing. I ended up shutting down and doing something else. For some reason listening to Web SDR for CW practice never came to mind. I'm not sure way but it never did, after reading in your post that very idea it was an eye opener. Richard a great blog post and advice I am for sure going to put into practice.